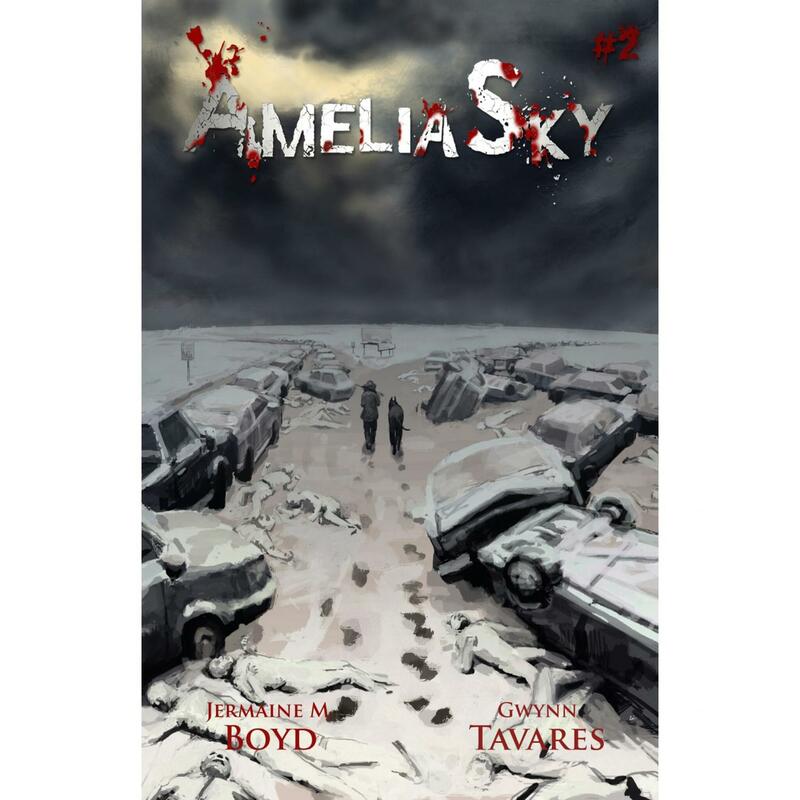 Amelia Sky is a crowdfunded comic book series about Amelia, a young girl who has awaken in a post-apocalyptic New York City. So far we have gotten the first two issues and they are both quite exciting. Jermaine M. Boyd, the writer and creator of the series, set out to not make “just another end of the world tale,” as he wrote in the first issues’ introduction. Honestly, when I started reading the first issue, I did have the thought that maybe this was just going to be another post-apocalyptic comic book series. But I believe that Boyd succeeded by taking a very common idea and adding the freshness it needed to stand out. The first issue is basically our introduction to what the world now looks like and only a little of who Amelia is. Because this issue is establishing the story, it isn’t the most exciting comic book despite some action towards the end. But that doesn’t mean it is boring at all. Though he uses this issue to start to unfold the plot, I appreciate that Boyd makes the issue flow in a way that keeps me interested. Gwynn Tavares is an artist that the comic book community should start paying attention to. The artwork in this first issue really made an impact on me because it is unique and dark enough to compliment the dark subject matter. I always appreciate when artists can tell us a story through their illustrations that use a limited amount of different colors. Tavares does this very well, as her artwork is haunting and beautiful. I really enjoyed the second issue of the series and I think that it proves just how great this story is. This issue contains a lot of action and drama without giving us too much more information about what happened to the world. 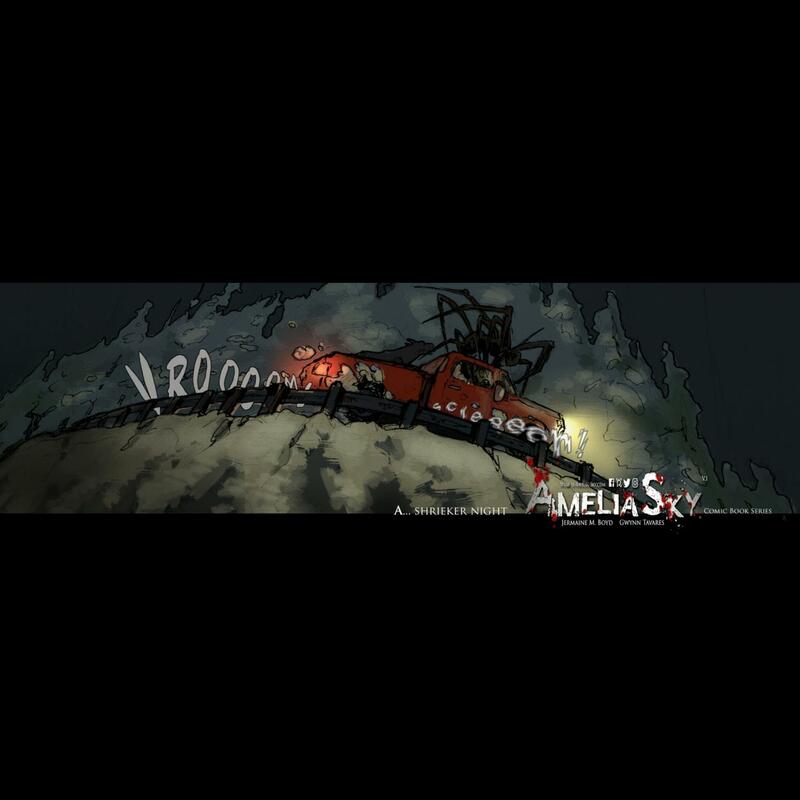 It is written in a way that perfectly pushes the story of Amelia at the moment, while also keeping us interested in knowing what caused the apocalypse that happened while she was asleep. This issue kept me excited and engaged the entire time. Once again, Tavares really impressed me with her artwork in this series. This issue has both a lot of action and sadness and she illustrates both perfectly. I am really enjoying the red that appears every couple of pages or so and I think that it adds a creepy vibe throughout the issues’ art. But easily, my favorite part of these first two issues is the last page of this second one. For the story, it is devastating, and yet, artistically, it is gorgeous. The unexpected blast of colors really does the job of making these last several panels exciting and scary and sad. This series so far is an example of why I love independent comic books as much as I do. It’s a talented writer and a talented artist following their own rules to prove to the world that we should be enjoying their work. Given the chance, I think that people will both enjoy and love this series. Jermaine M. Boyd and Gwynn Tavares are both names that should be followed going forward. Both physical and digital copies of both of these issues are now available for purchase. You can get them here: https://www.who-is-amelia-sky.com/buy-issues. To keep up with news and updates about the series, you can do that here: https://www.who-is-amelia-sky.com/news-1.